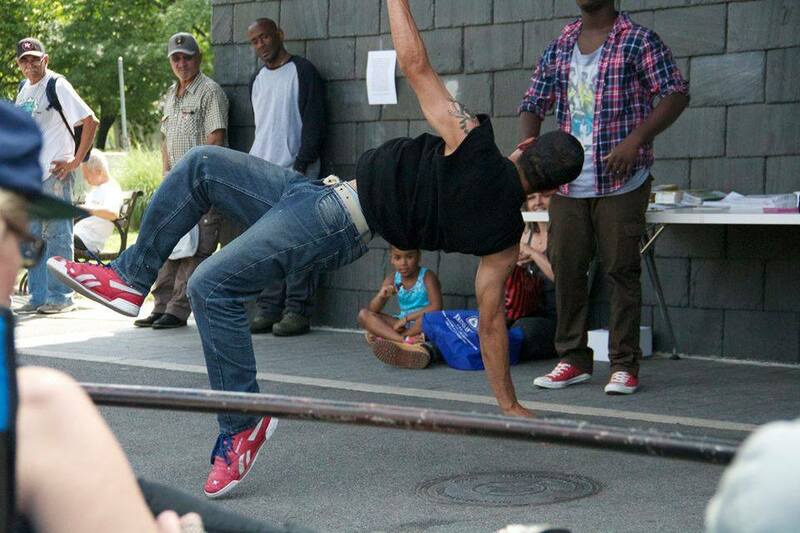 Celebrate the Summer Solstice with Bronx Anthems and Stories in the park! Edgar Allen Poe spent the last years of his life, from 1846 to 1849, in the Bronx. His cottage is now a historic home in Poe Park, which later became an important site in the Bronx’s hip hop history, and part of the fabric of people’s lives in Fordham. 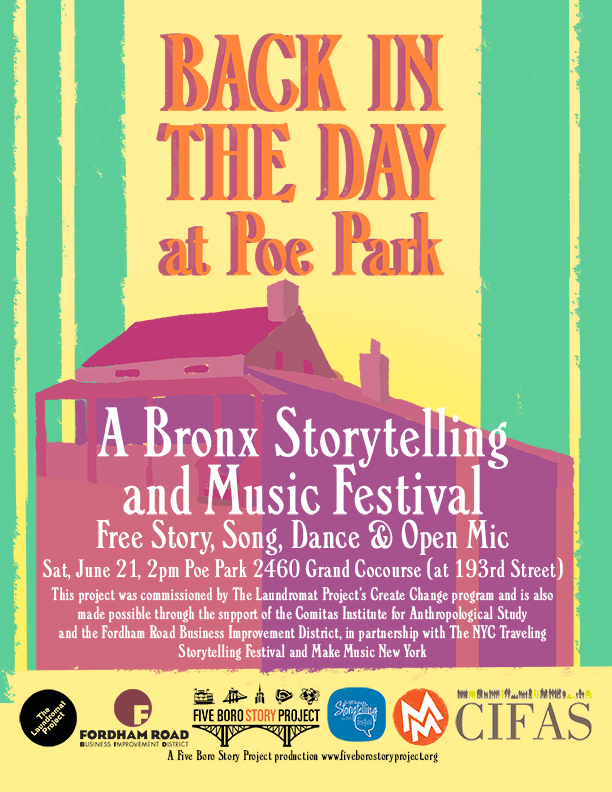 “Back in the Day at Poe Park” puts the spotlight on this park and the neighborhood of Fordham, taking you on a journey through the Bronx from Edgar Allen Poe’s day to our day. Share your own stories, songs, poems, and memories of Poe Park in our Open Mic! This event will occur on the summer solstice as part of Make Music New York‘s annual public music festival and the Storytelling Center of New York City‘s Traveling Storytelling Festival. In case of rain, performances will take place inside the Poe Park Visitor Center, located at 2460 Grand Concourse. Poe Park is blocks from the B,D train Kingsbridge Road station. For directions, click here. “Back in the Day” is the first installment in the Neighborhood Portrait Series, commissioned by The Laundromat Project‘s Create Change Program, and is also made possible through the support of the Comitas Institute for Anthropological Study and the Fordham Road Business Improvement District. View “Back in the Day at Poe Park” photos HERE.